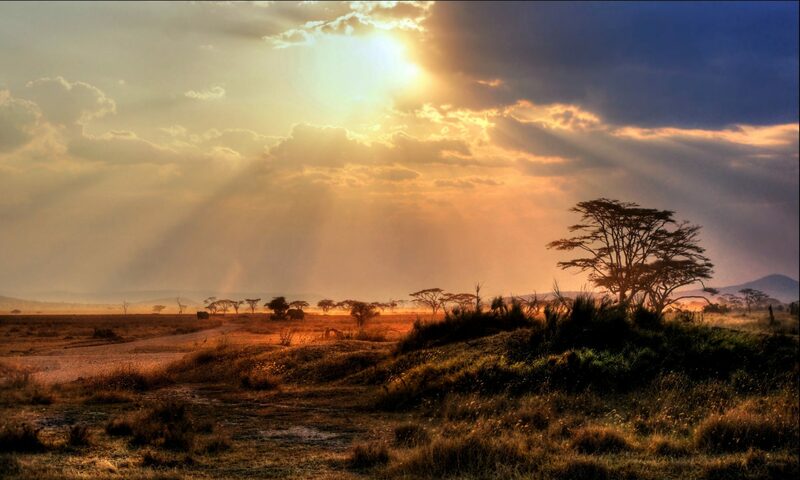 Wildlife radio transmitters are an invaluable tool for determining habitat use and movements of many species. 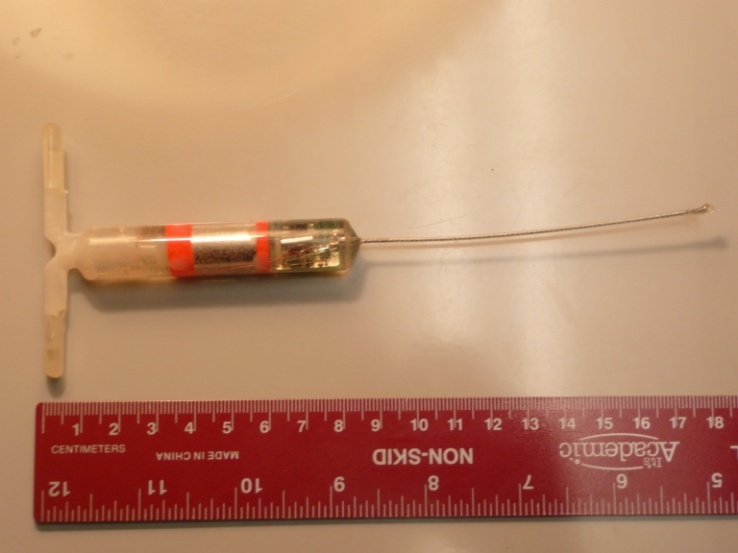 Researchers also use radio transmitters to estimate survival and cause-specific mortality. Several decades ago, these devices were in their infancy, and managers often were forced to rely on sightings and animal sign to estimate productivity of a population and survival of dependent young. More recent advances in this technology allow researchers to locate the young of white-tailed deer and other species soon after birth to monitor their survival and estimate causes of mortality. A primary goal of the Michigan Predator-Prey Project is to estimate fawn survival. This goal is important because the percentage of fawns surviving is an important factor influencing the growth of a deer population. However, fawns can be difficult to find and capture in forested environments. To facilitate the capture of fawns, researchers can capture pregnant does during winter and place vaginal implant transmitters (VITs) into their birth canals. These VITs are small radio devices that emit a specific radio signal once expelled during the birth of fawns in the spring. Researchers then home in on these VIT signals soon after the fawn is born. Newborn fawns captured at the birth site or opportunistically during other field activities are fitted with expandable radio collars designed to expand as fawns grow and eventually break off after about 12 months. Capturing and collaring fawns soon after birth is important because considerable mortality occurs during their early development. It is also important to monitor fawns daily to investigate mortalities soon after they occur to more accurately determine cause of death. 2. 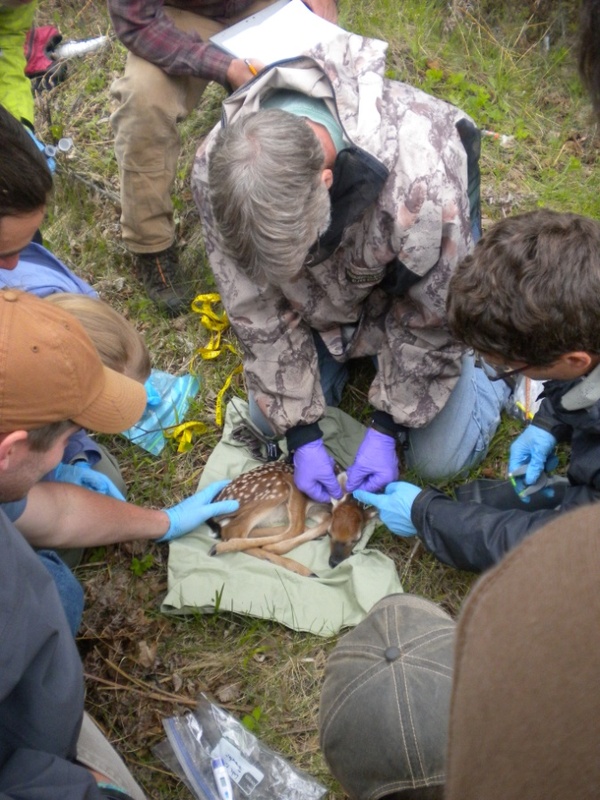 Researchers attaching a radio collar to a white-tailed deer fawn. This past summer, researchers with Mississippi State University and the Michigan Department of Natural Resources captured and radio collared 43 fawns at birth sites and opportunistically. Of these 43 fawns, 23 died as of 5 September 2013. Predation was the largest source of mortality, accounting for 16 fawns. Five coyote, 2 black bear, 2 wolf, 2 bobcat, 1 fox, 1 unknown canid, and 3 unknown predations were identified. In addition to predation, 1 fawn was killed by a vehicle collision, and 6 mortalities in which the cause of death could not be determined in the field are being evaluated at the Michigan Department of Natural Resources Diagnostics Laboratory. Seven additional fawns were observed dead at the birth sites of radio collared does, 2 were stillborn, 2 were black bear predations, 1 was a coyote predation, 1 was an unknown predation, and 1 was due to poor birth health. Researchers also observed 1 black bear predation while opportunistically searching for the fawn. Researchers will continue to monitor the remaining fawns for the life of the radio collars. Fawns will be captured and monitored again in 2014 and 2015 to evaluate variation in yearly survival due to changes in factors such as winter severity and predator abundance. The Michigan Predator-Prey Project is a multi-year study, which aims to assess baseline reproductive parameters and the magnitude of cause-specific mortality and survival of white-tailed deer. For more information on the project please visit http://www.fwrc.msstate.edu/carnivore/predatorprey/index.asp.